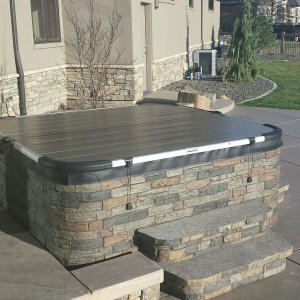 April 6, 2018 – With folks getting outside and reviving their backyards and decks for spring, it seems like the perfect time to look at your hot tub and spruce it up as well. If you have a tub that’s a few years old, you can absolutely enhance your spa and breathe new life into it. Here are five ways to freshen and liven things up. Get a Smartop. If your cover is a few years old, you may also notice that it’s a few (probably more!) pounds heavier. After a cover is out in the elements for a few years, it really starts to take on water and soon you’ll be huffing and puffing to lift it off your tub! Smartop is made right here in Washington State. It’s a beautiful upgrade to your tub, ditching that ancient vinyl cover look and replacing it with a fresh deco finish that adds texture and depth. And—it’s designed to never take on water and get heavy and age. It will maintain energy efficiency, remain light and easy to remove and look terrific to boot! 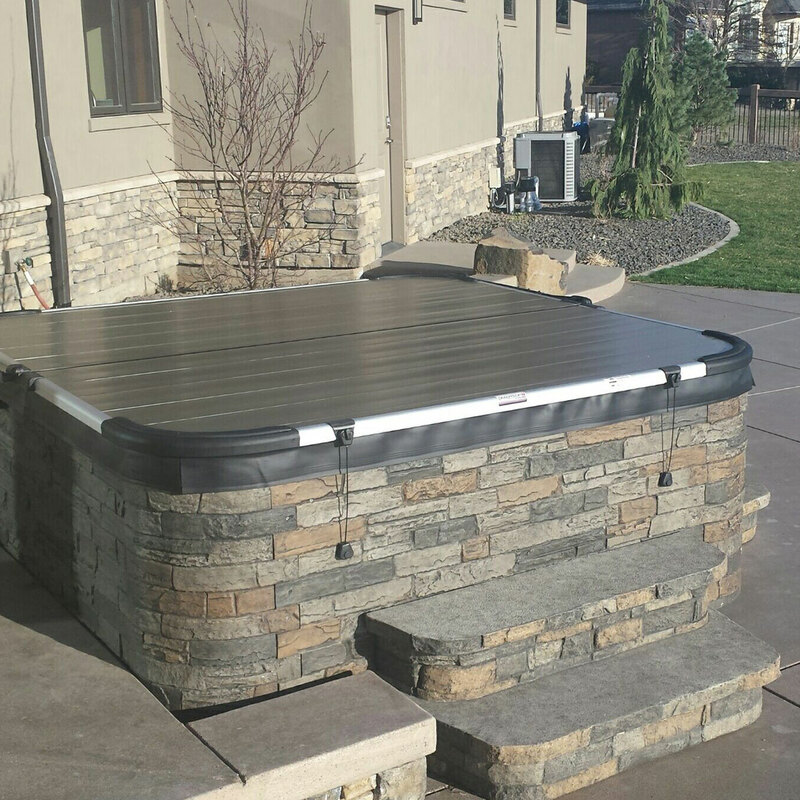 Smartop is available in two styles to work on free-standing tubs or tubs in tight spaces or partially built into a deck. Get some steps! I continue to marvel at folks that buy a beautiful hot tub and get cheap steps (or a milk crate!!) to climb in and out of their tub. Your tub should be SAFE to get in and out of! Do yourself a favor and get yourself a good set of hot tub steps. Add Bluetooth Music. If you have a Hot Spring Spa, most of the models we’ve sold to folks are music ready—even if you didn’t purchase it with the tub. Check out the options available for your tub with our Service Center (for tubs in our service area only). We even have a Bluetooth Music option we created for Freeflow Spas! Convert your tub to ACE Salt Water Care. If you have a Hot Spring Spa, you can be enjoying soaking in salt water. It’s a treat to immerse yourself in water with less chemicals, less hassle, and water that feels and smells so much nicer! If you’re interested in converting your tub to ACE Salt Water Care and are in our service area, contact our Service Center for details. Consider a spa umbrella. The umbrella we offer is also made here in Washington by Leisure Concepts. It has two base options to use near your tub, swings 180◦ for use over a patio set or seating when not needed over the tub and features rechargeable LED lighting. It’s a great option for the times you might want to soak in the rain…but not IN the rain! We’ve got plenty of other great makeover items in our five showrooms. Visit one today and give your tub a fresh new look for the season.